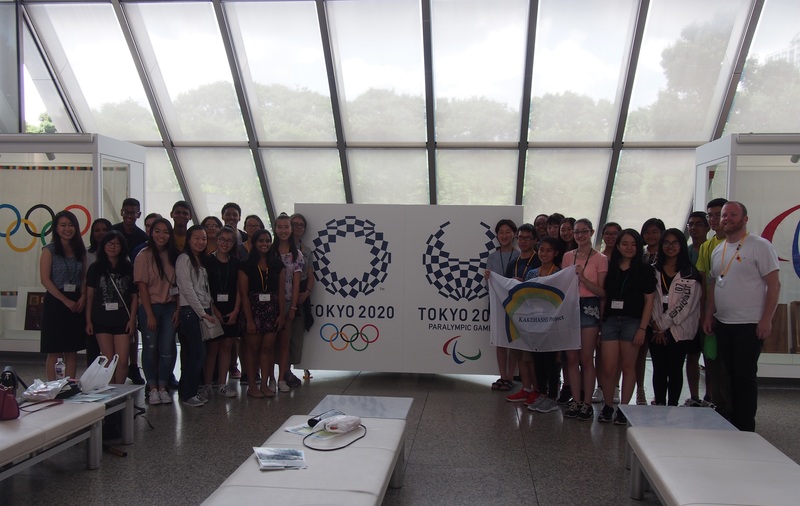 The Winners of the National Japan Bowl visit Japan under the "KAKEHASHI Project"
“KAKEHASHI Project” is youth exchange programs designed for North America and launched by the Ministry of Foreign Affairs. Today active youth exchange programs contribute to the closer relations between the United States and Japan than ever, in addition to the reliable partnership among the leaders and senior government officials between two nations. 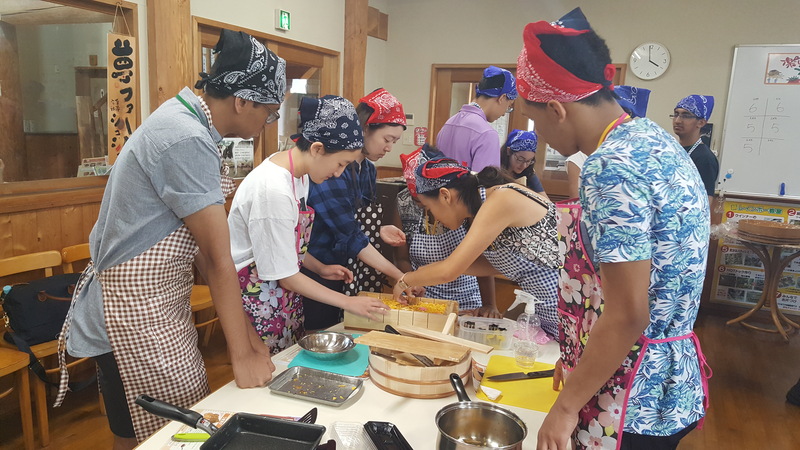 “Japan’s Friendship Ties Programs” accommodate the youth exchange programs of “KAKEHASHI Project” for North America, “JENESYS” for Asia and the Pacific, and other regions of the world. JICE has been managing and implementing “KAKEHASHI Project” continuously since April 2015. In fiscal 2017, Japan will invite about 1,200 high school students, undergraduate and graduate students, and professional individuals from the US while Japan will dispatch some 370 high school and college students to the US. 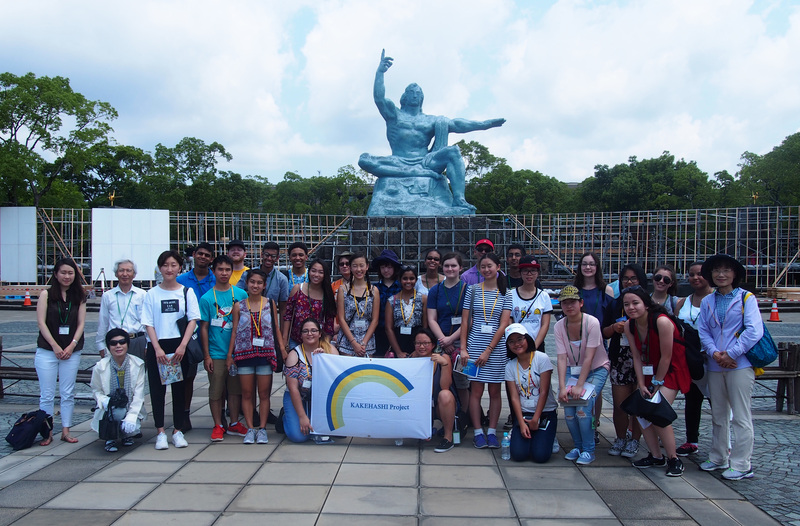 As the 1st inbound program of “KAKEHASHI Project” in fiscal 2017, 22 winners of the nationalJapan Bowl with 2 chaperones visited Tokyo and Nagasaki from July 19 to July 26, 2017. The Japan Bowl is a national Japanese language competition created by the Japan-America Society of Washington DC in 1992 to test the achievements on Japanese language and the knowledge of Japan possessed by the American high school students who are learning Japanese. 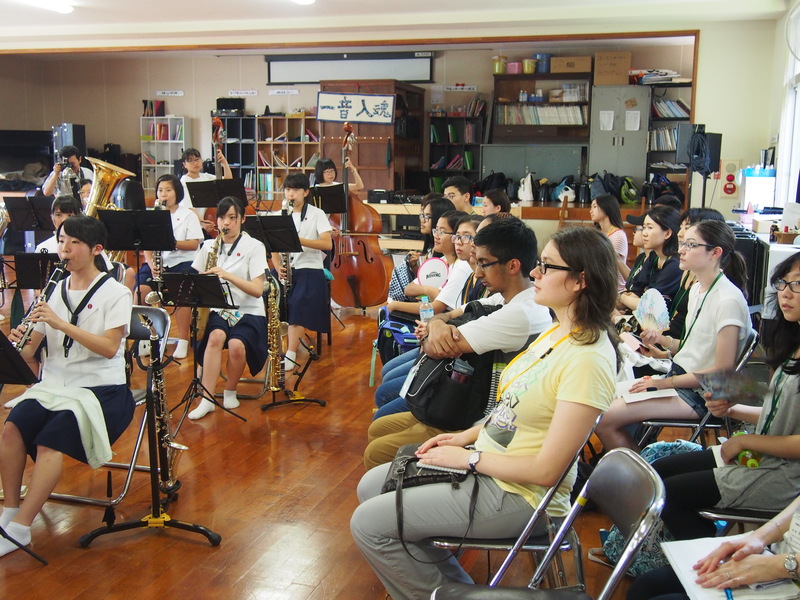 The American students observed the classes and extracurricular activities at Nagasaki Omura Prefectural High School as part of the school exchange program. At the Nagasaki Atomic Bomb Museum, they prayed for the repose of souls and peace through learning about the experiences during the war era. 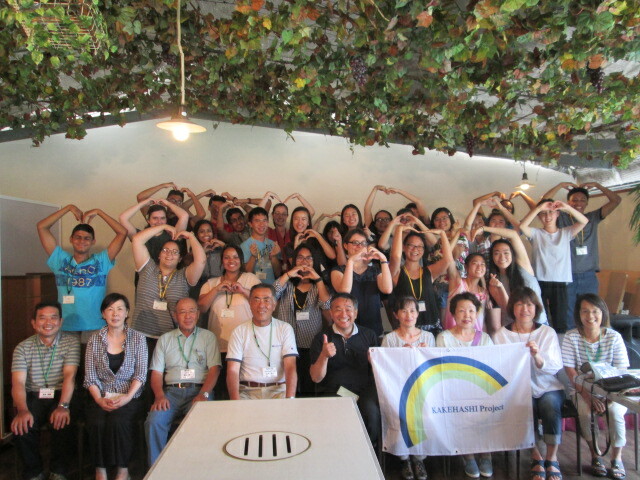 After the homestay in Omura City, the students and local people enjoyed making bamboo flutes and dyeing the fabric. 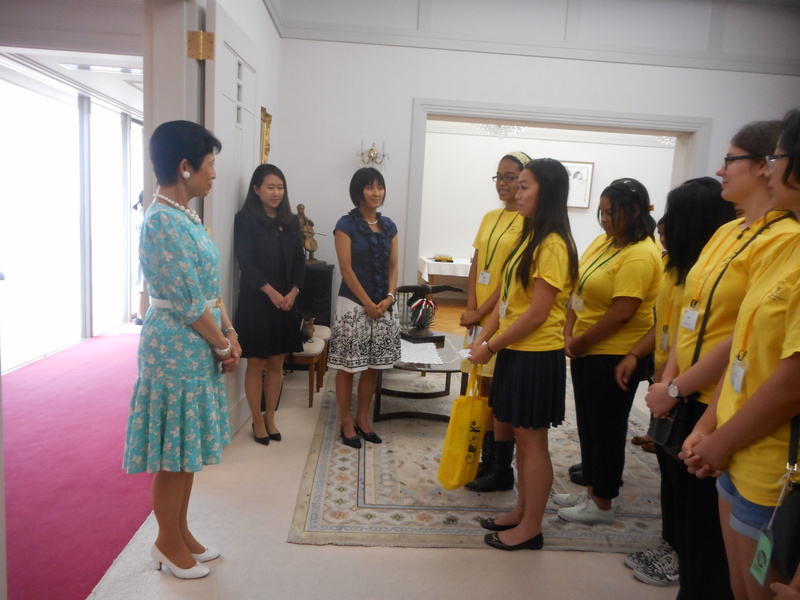 In Tokyo, the participants paid a courtesy call on Her Imperial Highness Princess Takamado, with whom they had a lively conversation in Japanese. 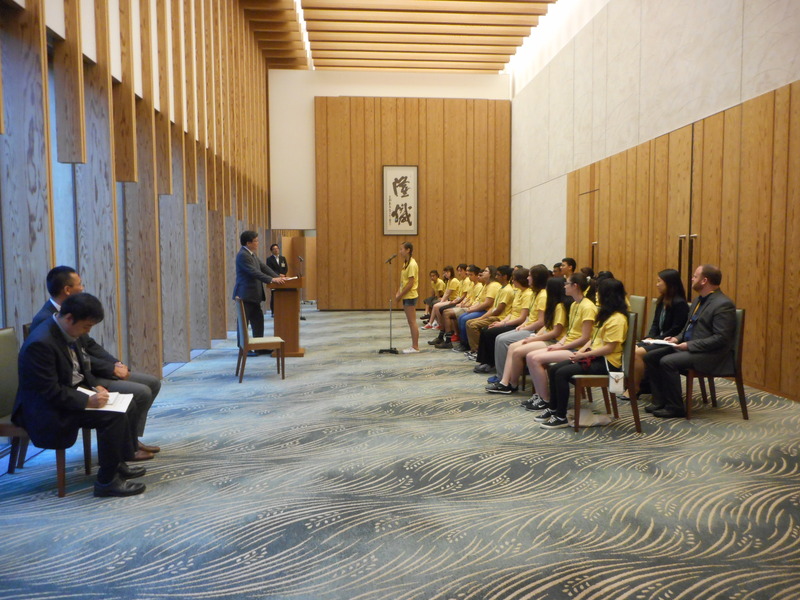 When the students visited Mr. Koichi Hagiuda, Deputy Chief Cabinet Secretary, Mr. Hagiuda wished them to be the future leaders to support the U.S.-Japan solid relationship. The Japan Bowl Supporters Group were kind enough to entertain the winners with Japanese tea and Origami Workshop. 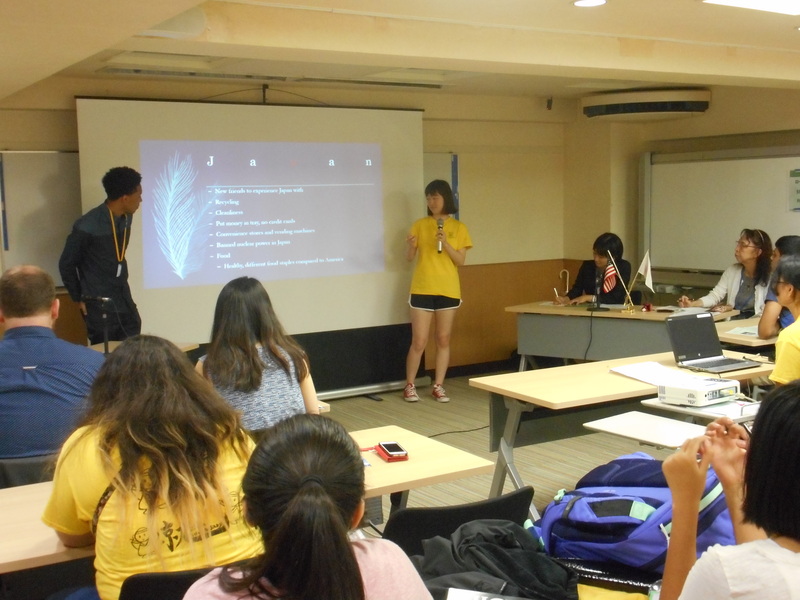 At the action presentation session on the last day in Japan, they made a presentation on how to disseminate their experiences in Japan after their return, and JICE hopes that these KAKEHASHI participants will incorporate their precious experiences in Japan into the future career.